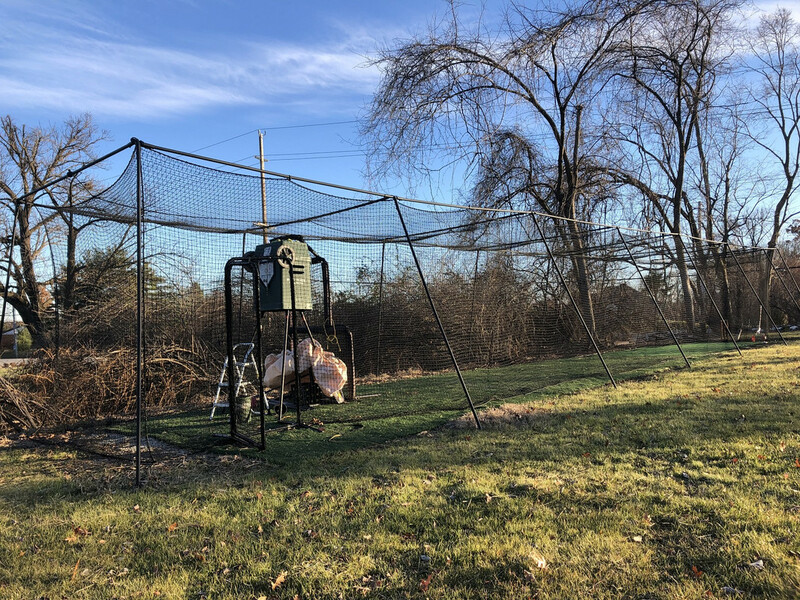 So this endeavor started about two years ago when I was intrigued by the prospect of putting a batting cage in my back yard. Fortunately or unfortunately, we had bought this house in this very affluent neighborhood which we now think should be labeled as "A subdivision reserved for snobby retired millionaire a$$holes". Many residents here are retired, super grouchy, stingy mothertruckers who have long faces 24/7 - it's as if they are just waiting for the inevitable to happen to them. They are on the look 24/7 to find an excuse to file a complaint against any other neighbor. The city has tons of very strict code and restrictions as to what you can and you cannot do on your own property - for example, you need a permit to put a kids trampoline in your own backyard - you can't put a storage shed more than 10 meters away from your house - you can't build a privacy fence around your own house - you need engineering design and storm water run off calculations (costs thousands of dollars) if you want to put a deck behind your house, you need a permit if you are moving more than 5 yards of dirt in your garden. I mean, you name the BS and they have it. I didn't know all this till I started looking into my batting cage project. I read some guidelines on the city's website and knew immediately that it's not going to be easy battle to win. 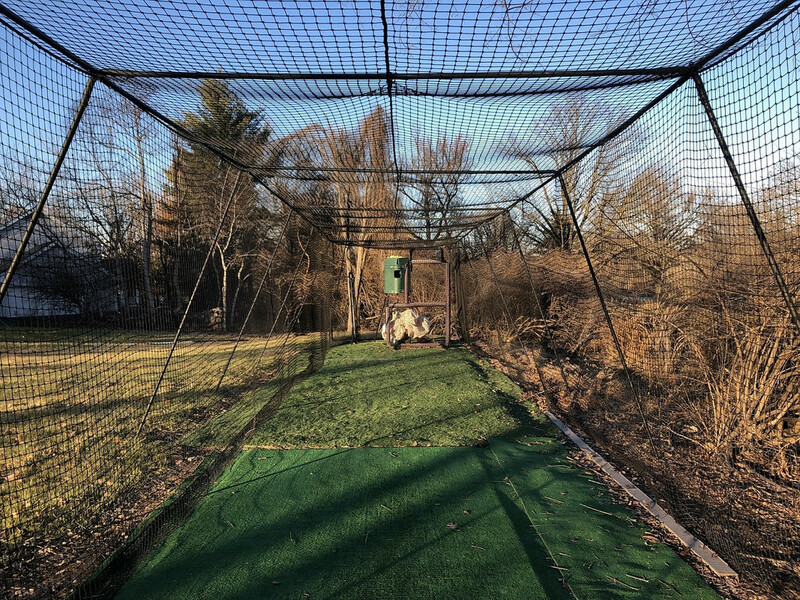 A batting cage was basically allowed only if it had been grandfathered. 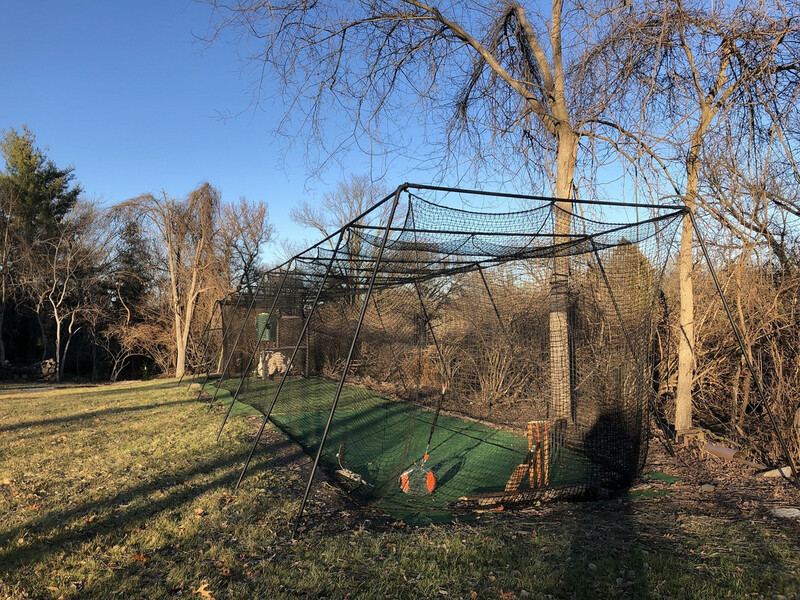 So, I went to a city meeting and met another neighbor who lived a few streets down from me and found out that he was fighting with the city to have his "very small" batting cage not to be taken down by the city since a neighbor complained that the batting cage "reduces the value of view from her window". Can you imagine this complaint? I mean what a load of bovine excrement? 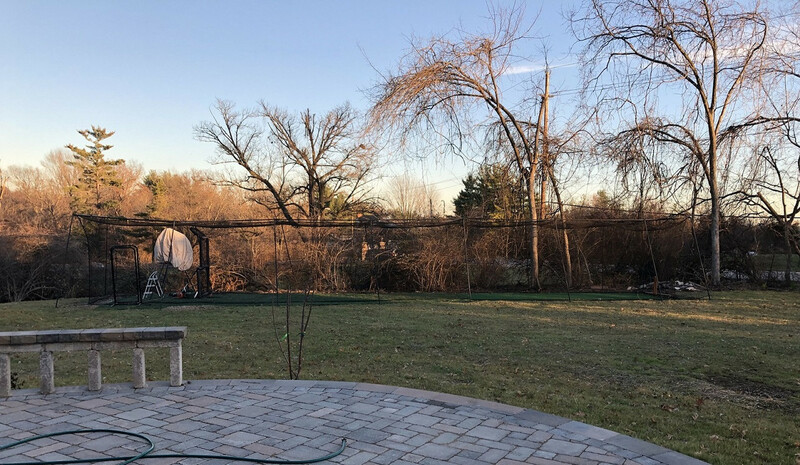 It's MY freaking backyard, and it's MY frigging batting cage - if you don't like the sight of it from YOUR window then close the window or don't look at it or consider moving out, your freaking capital B! And to make the matters worse, the city was siding with this neighbor who had filed the complaint. So I joined forces with my neighbor whose small kids used to play baseball in their 20 feet cage and city had taken it down. And we started an appeal for a special permission for batting cage. This was immediately rejected! Long story short, we hired an attorney and took the city council to the court where I explained to the judge that if, "If my own kids can't play in my own backyard and I restrict my kids to their rooms what do you think they will do? Obviously internet surfing, video games, watch movies and nothing else. And I don't want my kids to be involved into these things. Would you?" This struck the judge, and he requested the city to reconsider our appeal. So after about 8 months of meetings, and going through many many hassles, we finally got an approval from the city with a few restrictions (the original restrictions placed by the city to start the approval process were ridiculous, for example you can use the cage only for one month in a year and you can't have it out there for more than two weeks straight) - for example, no lights in the batting cage, no commercial use, no permanent structure etc (and one of my favorite conditions were, if neighbors don't like the look of it, they can go screw themselves up). On the other hand, I knew that this a very, very expensive neighborhood and folks paid a lot of money to move here and live in peace. And the batting cage could cause a lot of noise - specially if you play with an aluminum baseball bat or a regulation cricket ball. So I intended to respect it and did not have any intention to cause nuance. On a separate venue, I was investigating as to what exactly was the best batting cage out there? 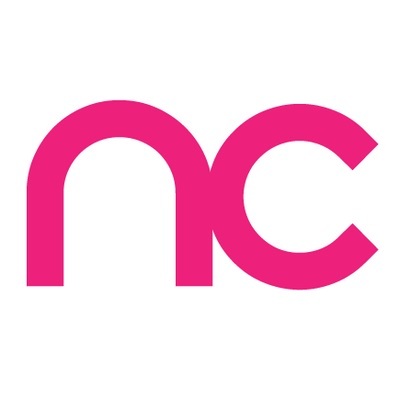 After a lot of research I finally pinned down a design made by Networld Sports in UK. They were EXTREMELY patient with me for two years - and they replied to all my comments and concerns. They were finally able put together a custom order for me. And since we wisely removed any conditions on the size of the batting, I went with a full fledged 80 feet long monster. It has # 62 net which is super strong. I then hired a contractor to professionally pour concrete make an 8 by 25 feet strip (about half the pitch) which I covered with a cricket playing mat, the rest of the half is I covered with nice and thick artificial grass. I think I was EXTREMELY lucky (unknowingly) to have bought a house where I don't have any neighbors on the sides of my property. I ordered the cage and it was sent from UK. United States customs called me to find out what the heck was it, and I said batting cage for my kids. So they let it go without putting any duties on me. The cage arrived and it took us about half a day to open it and put it all together. 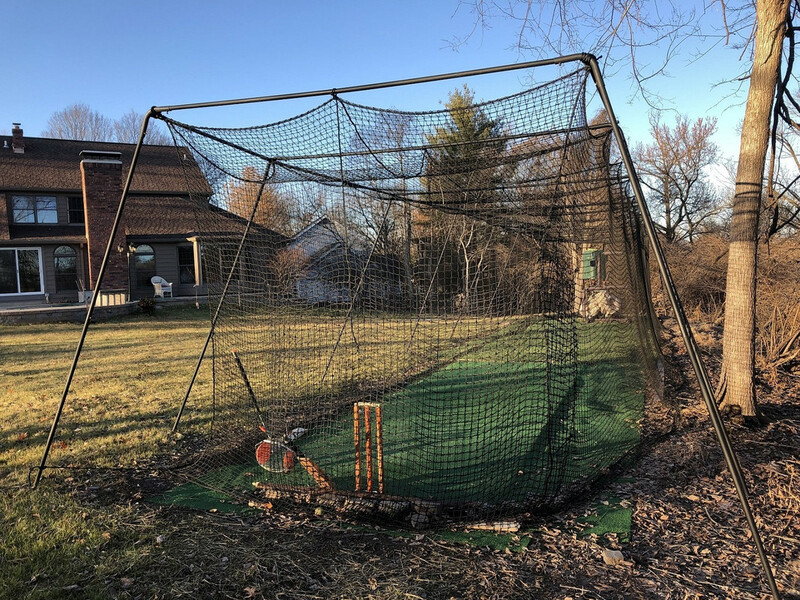 The beauty of this design is that the side poles are not attached with the net, and a hardly struck ball does not come in contact with a side pole to bend it or ricochet back at the batsman. Then there was the pink elephant in the room - the bowling machine. 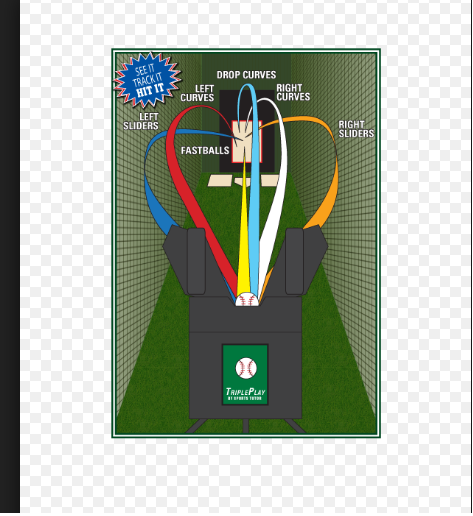 I had done some research on this aspect as well, and had identified SportsTutor's Tripple play Ultra was the top pitching machine choice that will do it for me. 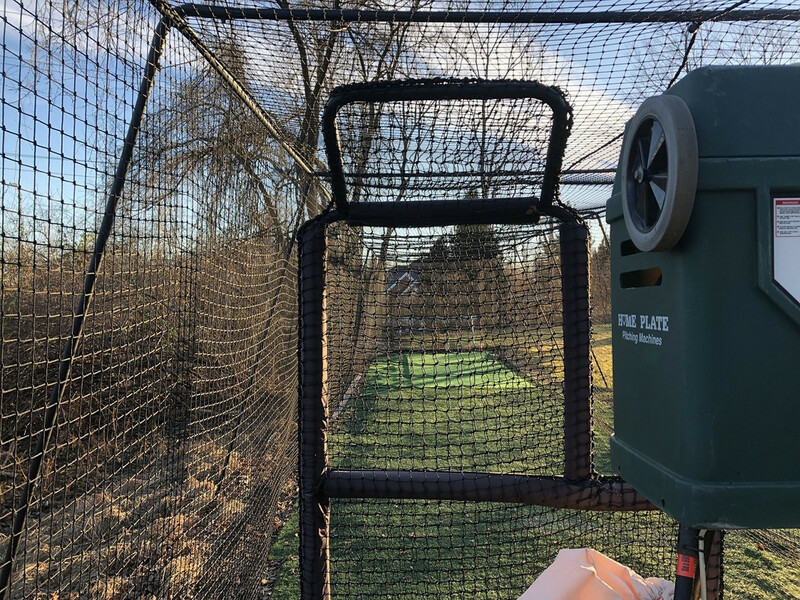 This machine is basically designed for baseball but I knew it would work for cricket. (had to rob a bank to buy this machine). So the left and right curve, sinking balls, risers etc kind of translate into outgoing delivery, incoming delivery, Yorker, Bouncer, leg spin and off break etc. The only thing it does not do is swing the ball. It has a variable speed from 50 to 90 miles an hour. It has various programming options. You can set 10 different kinds of deliveries and then let them being bowled to you in random or sequence, or you select your target delivery and let the machine keep bowling the same. It can hold up to a 100 balls bola balls. So, I load it up and practice two rounds of about 100 balls each. I play, enjoy and relish in trying all different kinds of shots, practice different batting stance, various back-lifts, various footwork motions, block, defense, slog, reverse sweep, use different bats, heavy light, super light, round handle, short blade - I mean, you name it. No fielding and no chasing the ball and no dependency on having bowler. And believe me, this machine has got me yorkered quite a few times. And I have been snicked quite a few times. It's a complete bowler that surprises you with all different kind of deliveries when set to "Random". 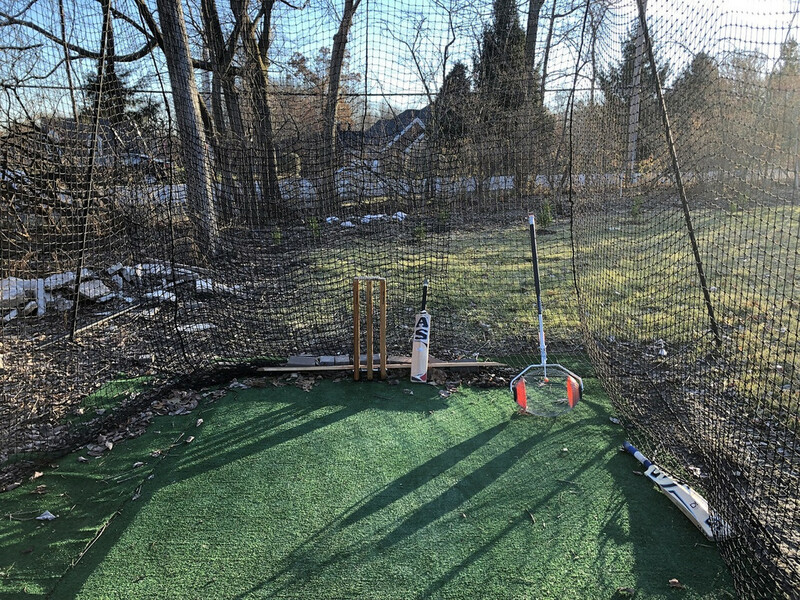 In my 30 years of playing cricket, I don't think I have enjoyed cricket batting practice as much as I do now - It has gotten to a point where if the weather is good and I missed playing, I tell myself, another day in life has gone wasted. That's the dream right there! Looks fantastic, well done sticking to the task and getting it all done. Hats off to you, sir. I think we've all had this dream, haven't we? Interesting you opted for a baseball pitching machine. Couldn't a Bola or any other decent dedicated cricket bowling machine do the job? Great job. That is some dedication and dollars right there to pull that off! 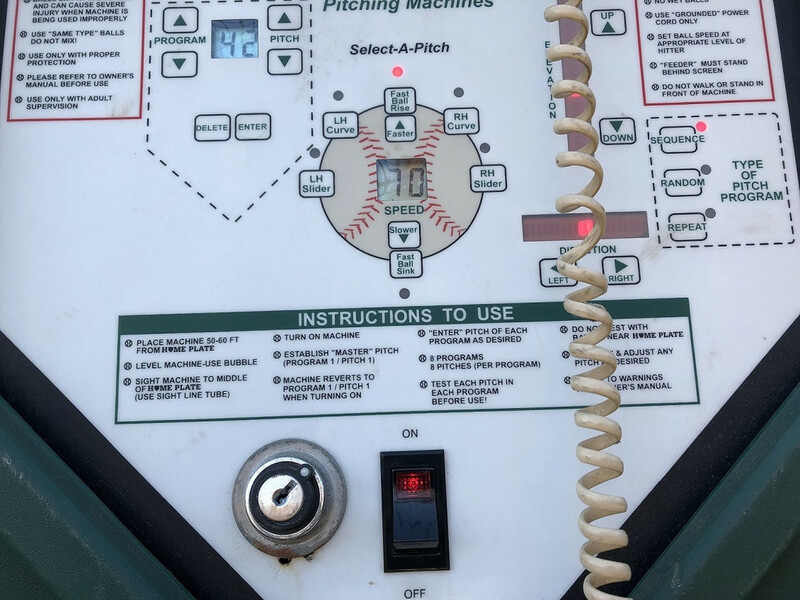 I'm guessing the appeal of the baseball pitching machine is being able to leave it outside and deal with way more balls in one go (not to mention BOLA autofeeders seem to get jammed every few balls!) ? Wish I had a big enough garden for my own net! Can a bola hold a 100 balls? that is pretty impressive! Actually, my original plan was to build a 15 by 80' open shed and hang the net under the roof - so it would be functional during the rain. I mean THAT'S when you can't go out to the ground and play a match - and THAT'S when you get the urge of getting into the indoor nets to justify the weekend. At that point, I was eyeing on Bola's TureMan that has some basic animation screen of a bowler running in. However, the city would not allow to build any permanent sporting structure, and then I must had to have 75% of my land open. The current house building already covers about 22% percent so I had only 3% available for another structure - so it was big no no from the city to build another large structure. And then the Bola people informed me that TrueMan is not waterproof and not designed to be left out in the open. I thought it will be quite a hassle to move it in and out of garage every time you wanted to play. And permanently place it inside the cage and put the Bola Trueman inside it, but it won't fit. TrueMan is too high and big. I then moved to this Tripple Play Ultra which would originally fit in the storage shed but it wasn't high enough to simulate the height of an actual bowler's arm. So I had to modify it by replacing the existing legs with 18" longer ones. This resulted in the same problem, it won't fit in the shed. So I ended by buying this ultra thick waterproof cover of for it. This is a temp solution for now till I zero in into some permanent solution. Perhaps some sort of custom shed that will house the machine and relieve me from put the cover on and off. My wife and kids always ask me as to what do I want for my birthday gift, and I am so sick and tired of clothing and perfumes and all other BS that last time I told them to book me a room in a good hotel so that I could go and sleep there for two days in peace and serenity. I guess for this birthday, I have an answer for them. Just for knowledge sharing that is based on my own research and it could be wrong. 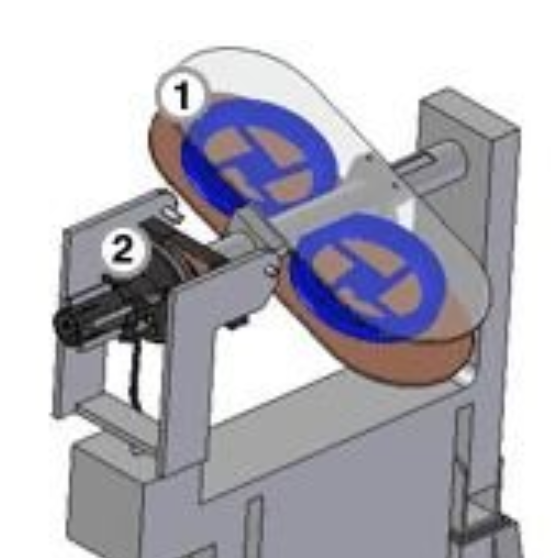 Bola seems to have two spinning wheels to deliver the ball. I am sure it bowls all different kinds of cricket deliveries and justifies it's purpose. While TP Ultra has three spinning wheels that could also deliver a variety of motions to the ball. I think it has more variations than Bola. 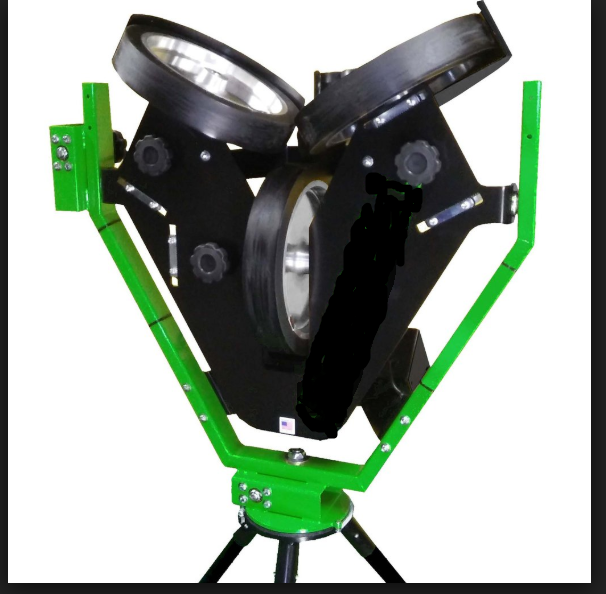 The pitching machine then has an option and great flexibility as to where you would want to get the ball pitched. This was designed for baseball fielding drills but it works magic for cricket bowling setup. Awesome project, you obviously worked hard to get a great result. Chapeau! not sure how would we define “righteously” when I play the balls but I will work on the video this weekend if the weather is not too cold. Page created in 0.621 seconds with 46 queries.